This section of the site is designed just for you. 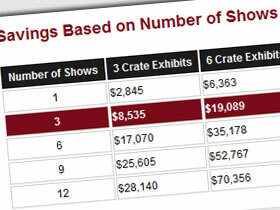 An easy-to-understand overview of this amazing exhibit system and the benefits it will bring your marketing team. 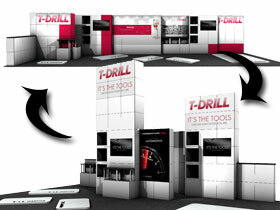 MultiQuad is unique from other trade show exhibits in that it consists of standard components that may be added, removed and rearranged based on booth size, desired functionality and design. This amazing functionality allows you to make one purchase that can be used to create multiple exhibits for your various booth sizes, various departments, various campaigns, etc. 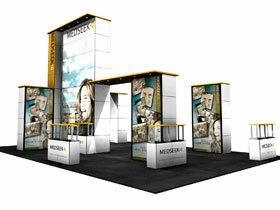 Click to view how one 30’ x 30’ MultiQuad can yield dozens of other exhibits. MultiQuad is a fluid exhibit system that can change and grow with your show needs simply by rearranging the basic components. 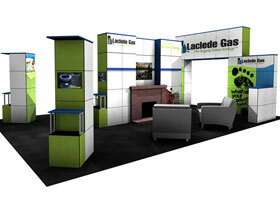 It is a well thought out exhibit system, not just a display. 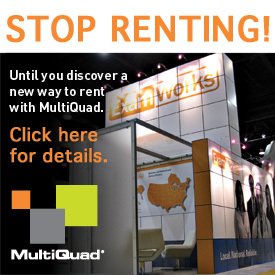 MultiQuad excels in both island and inline configurations and easily converts from one to the other by modifying components. Have a consistent high-end look at all your shows with MultiQuad. 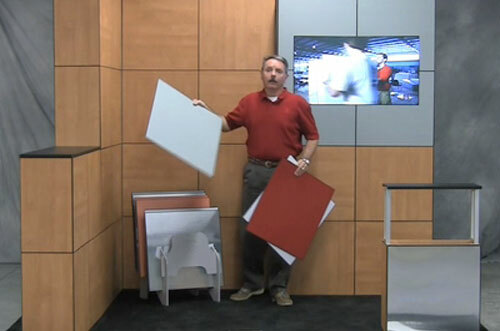 Purchase one system, and it can create multiple other size configurations. Quads are precision CNC cut square panels with magnets on the back that attach to the MultiQuad frames to create the finished MultiQuad product. While frames provide the structure, Quads give the finished look. Quads have built-in black reveals on the edges to give a modern look and minimize the gaps and seams due to uneven trade show floors. Quads are not available without reveals. What is the Redeem For Green Program? 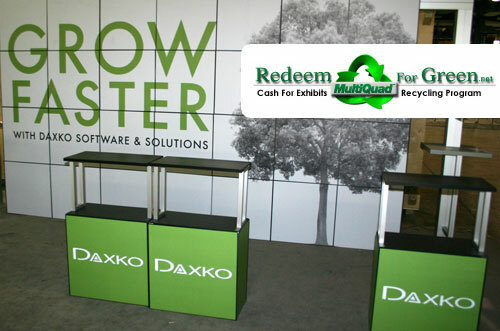 If someday you don’t need your MultiQuad, ExpoDisplays will buy back your system for up to 20% of the MSRP, giving you a great recycling option instead of allowing your exhibit to end up in a landfill. Learn more about Redeem For Green Recycling Program.